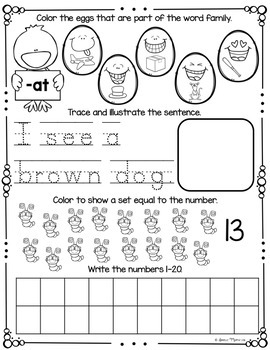 Kindergarten Morning Work for March! Make morning work a breeze! 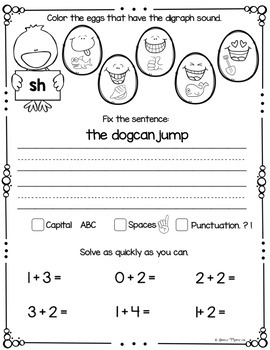 This April Kindergarten Morning Work is an easy option to make your morning routine flow smoothly! 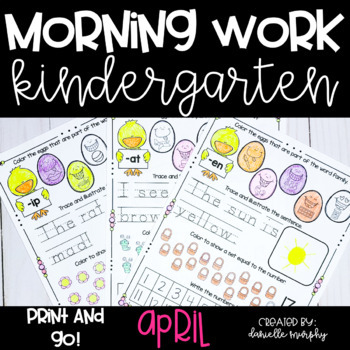 The 22 printables are very predictable (and feature a cute Spring theme) to encourage student independence while you take care of morning tasks. Simply Print and Go! 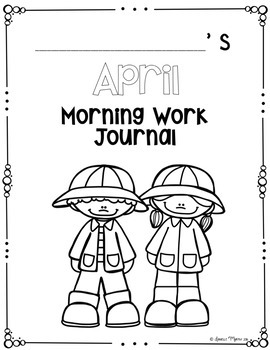 Or there is a cover included if you prefer to make monthly Morning Work Journals. Looking for Morning Work for the entire YEAR? Save BIG when you purchase the bundle!